Unapproved stickers come in all kinds of colors, shapes, sizes and names. How would the consumer know which are registered with the EPA and which are not? All anti-fungal stickers should be registered with the EPA. Please remember to let the retailers below know to stop using unapproved materials in shoe packaging. Thank you to everyone who signed the petition to stop shoe companies and retailers from using potentially harmful chemicals in our shoe boxes. Please remember to contact the retailers below and let them know to stop using unapproved and harmful chemicals in shoe packaging. Most shoes shipped to the United States travel long distances by cargo ship, and need protection from moisture, mold and fungus. 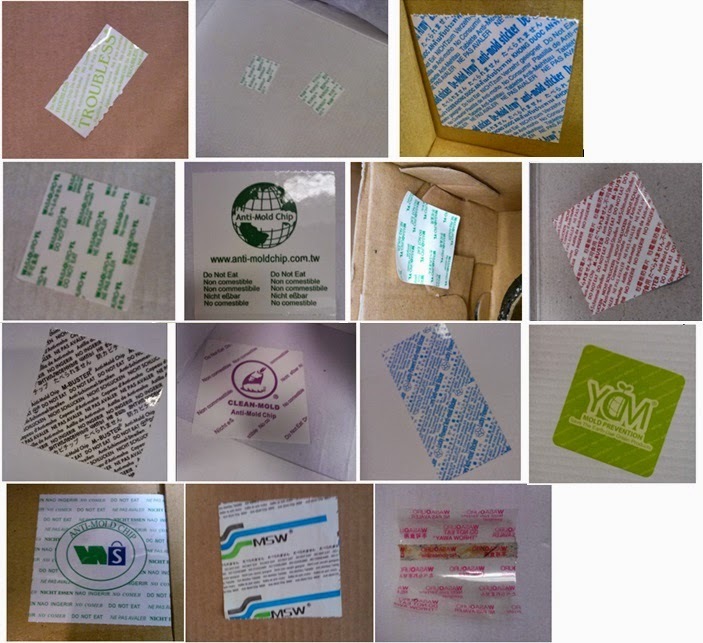 In order to prevent this problem, certain shoe companies are placing chemically treated stickers inside shoe boxes that help to prevent mold and fungus. These stickers fail to identify the potentially dangerous, harmful ingredients they may contain and are marked simply with the words “anti-mold”. Although stickers are supposed to be tested and registered with the EPA to protect consumers, many shoe companies are using unregistered, unproven, and untested materials with potentially harmful chemicals in their shoe boxes. Since they are used at top retailers such as Wal-Mart, Saks, Macys, Whole Foods, Nordstrom’s, Dillard’s, Bob Ton, Belk, Amazon, Zappos, TJX, Footlocker, and others, and in popular brands like Aerosoles, Born, Calvin Klein, Coach, ECCO, Eurosoft, Isola, Kenneth Cole, Liz Claiborne, Minnetonka, Rocket Dog, Roxy, Sofft Shoe Co., Softspots, and Vera Wang, consumers and workers have a false sense of comfort and security. In addition to containing the shoes worn by children and adults, these boxes are often later used to store baseball cards, family photos or even small pets. These are simple everyday acts done with no knowledge of the potentially harmful toxins contained in an unassuming sticker affixed inside each box. Given the potential dangers for our kids and our pets we believe that it is critical that all materials placed in shoe boxes for shipping should be properly tested and approved by the EPA for safety. We believe that many companies using these unapproved products are not even aware of the dangers, and would change if made aware of the risk to our safety. 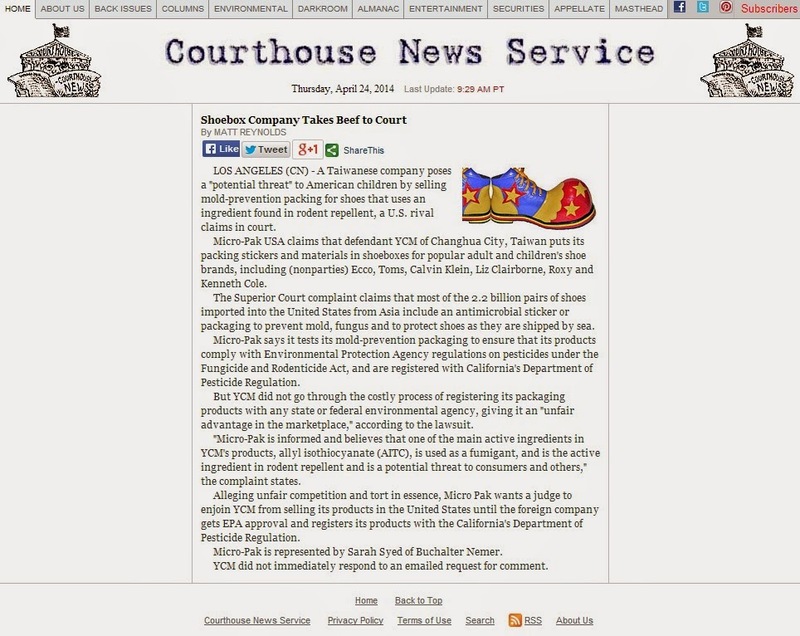 Please let the shoe manufacturers and retailers know to stop using unapproved and harmful chemicals in shoe packaging. Eye: Causes eye irritation. Lachrymator (substance which increases the flow of tears). irritation and possible burns. Prolonged exposure may produce blisters. tract. Vapors may cause dizziness or suffocation. Chronic: May cause reproductive and fetal effects. Laboratory experiments have resulted in mutagenic effects. THE PETITION IS UP. SIGN NOW TO SUPPORT THE MOVEMENT! 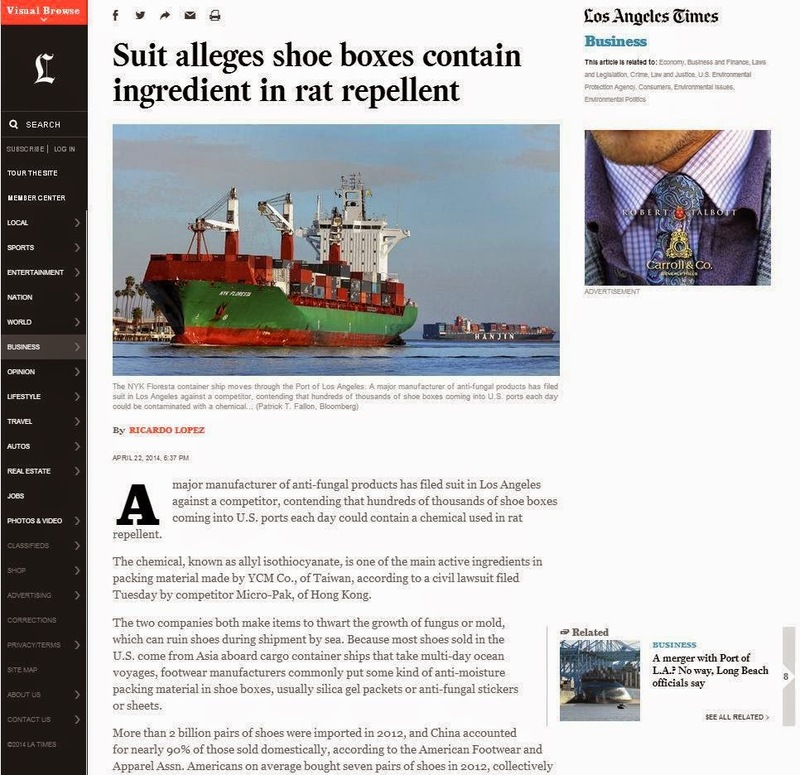 Stop using unapproved and potentially harmful chemicals like rat repellent in shoe boxes. Most shoes shipped to the United States travel long distances by cargo ship, and need protection from moisture, mold and fungus. In order to prevent this problem, certain shoe companies are placing chemically treated stickers inside shoe boxes that help to prevent mold and fungus. These stickers fail to identify the potentially dangerous, harmful ingredients they may contain and are marked simply with the words “anti-mold”. Although stickers are supposed to be tested and registered with the EPA to protect consumers, many shoe companies are using unregistered, unproven, and untested materials with potentially harmful chemicals like rodent repellent or rat repellent in their shoe boxes. Since they are used at top retailers such as Wal-Mart, Saks, Macys and Whole Foods, Nordstrom’s, Dillard’s, Bon Ton, Belk, Amazon, Zappos, TJX, Footlocker, and other retailers; and in popular brands like ECCO, Coach, Aerosoles, Born, Vera Wang, Rocket Dog, Minnetonka, Kenneth Cole, Calvin Klein, Liz Claiborne, Roxy, Eurosoft, Sofft Shoe Co., Isola, and Softspots, consumers and workers have a false sense of comfort and security. In addition to containing the shoes worn by children and adults, these boxes are often later used to store baseball cards, family photos or even small pets. These are simple everyday acts done with no knowledge of the potentially harmful toxins contained in an unassuming sticker affixed inside each box. Please use this petition to let the shoe manufacturers and retailers know to stop using unapproved and harmful chemicals in shoe packaging. SIGN NOW!